From his first appearance in 'Knots and Crosses' in 1987, the character of Detective Inspector John Rebus has developed in complexity and depth through a succession of accomplished detective novels, making him one of the most intriguing literary policemen ever to prowl the page. 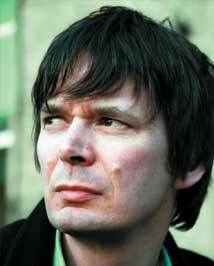 His creator, Ian Rankin, has won many major crime-writing prizes, including the prestigious Chandler-Fulbright Award, and is a master of the detective fiction genre. As a child in Cardenden, Fife, he amused himself by writing and drawing his own comics. Later, as a literature student at Edinburgh University, he had poems and short stories published in literary magazines such as Cencrastus and the Edinburgh Review. His first published novel, 'The Flood' (1986), is a powerful allegorical tale that follows the terminal trajectory of a Fife mining community through the experiences of an outcast woman and her son. For the Rebus series that made his name, Ian Rankin takes a walk on the Hyde side, catching the scuttling secrets of Scotland's capital city in the beam of his highly ingenious Rebus plots.